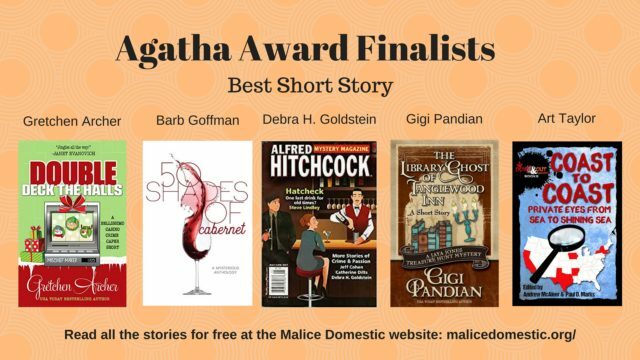 Today at SleuthSayers, I’m welcoming the Agatha Award finalists for Best Short Story. Gretchen Archer, Barb Goffman, Debra H. Goldstein, and Gigi Pandian join me in talking about the specific challenges each of us faced in crafting our respective tale. Check out the answers here—and look forward to seeing everyone at Malice Domestic two weeks from today!